Every year there’s always one movie that looks set to not only make us weep, but also inspire TF out of us. Usually these films star the ultimate queen of cinema, Meryl Streep, but next year it looks like Hidden Figures will be the film to warm our hearts, and it looks like Meryl’s no where in sight. So what is Hidden Figures about? Hidden Figures tells the untold story of Katherine Johnson, Mary Jackson, and Dorothy Vaughn, three African-American women who helped NASA launch the project that helped John Glenn become the first American to make a complete orbit of the Earth. Who stars in Hidden Figures? 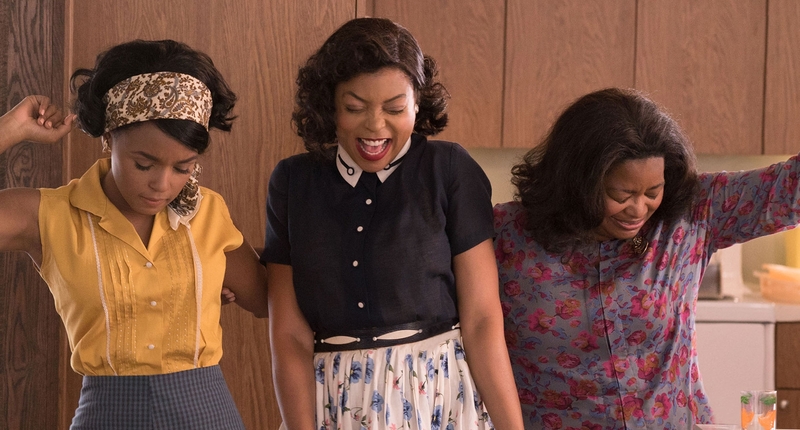 The film stars Taraji P. Henson, who plays Katherine Johnson, as well as Janelle Monáe, who plays Mary Jackson, and Octavia Spencer as Dorothy Vaughan. Kirsten Dunst also appears, as does Kevin Costner. Well, Hidden Figures is actually about the real life story of Katherine Johnson, and is based on the book Hidden Figures: The American Dream and the Untold Story of the Black Women Mathematicians Who Helped Win the Space Race. The story shows how three women overcame barriers of race and gender to achieve something great. You should just really watch the extended trailer below. Okay, so I’m SO on board with this. When can I watch it? So, there’s a little bit of a wait until Hidden Figures comes out. In fact, the film is slated for release on January 13, 2017.